The system is composed of a True Diversity broadband receiver and a handheld broadband transmitter, or bodypack. 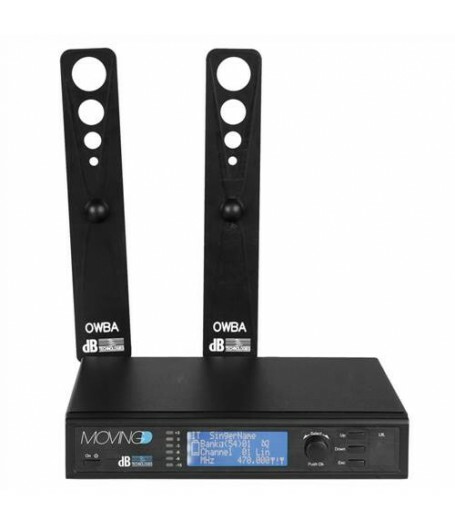 MOVING D is a unique wireless microphone system, able to manage the entire UHF band. The system is equipped with a scanner that operates between 470 and 890 Megahertz: this way, Moving D works with a 400 Megahertz continuous range without band switch. The transmitters also operate across the entire band, so the system can be completely user-adjustable and there is no need to substitute the transmitter in cases of interference or changes in regulations. The software control one system via the USB mini port positioned on the back of the receiver, but it can also control multiple systems thanks to the HUB 800 accessory which can manage up to six systems simultaneously. The USB port also allows you to update the firmware and get the list of available frequencies for each country. 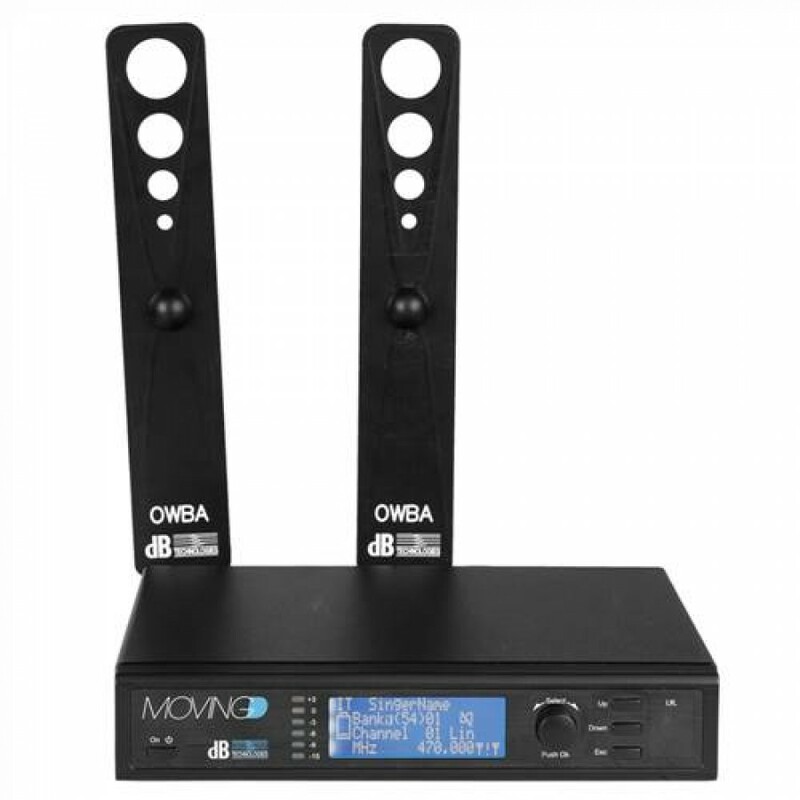 MOVING D audio is managed at a frequency of 44.1 Kilohertz/ 16bit without the use of a compander; thanks to an innovative algorithm, patented by dBTechnologies, the signal is transferred from transmitter to receiver without affecting its quality or detail. Moving D also features one of the lowest latency processing on the market and allows for audio signal to be encrypted in order to guarantee maximum discretion in any context, thanks to a 48-bit random encryption key. MOVING D is equipped with a bidirectional infrared communication system that synchronizes the transmitter and the receiver. The broadband receiver operates with very narrow input filters across the entire bandwidth. This allows you to use many systems simultaneously without any interference.